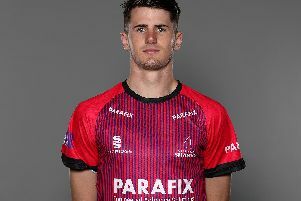 Our Royal London One-Day Cup campaign is now well under way and the change of format – while still meaning plenty of cricket – has really freshened things up, writes Sussex skipper Ben Brown. Sussex and Middlesex are the only sides in division two to have started the season with five back-to-back Championship matches and that was a huge ask. The switch to the one-day stuff gives the bowlers a few days off between games and has allowed us all to mentally recharge a bit. As captain, I’ve been really impressed with how the team has gone about things in the first part of the tournament and we’ve played some excellent cricket. It was frustrating to fall short in a couple of home games, but it was really pleasing that we learned from that experience and took those lessons down to Taunton for a fantastic win. On paper, an away match against Taunton is the toughest white-ball game in the schedule. Somerset have such a good record there and the crowds are loud and give their side so much energy that to overcome all that showed the immense character in our side. Our final match in the group is against Essex at The Saffrons. Having played so much club cricket for Eastbourne as a junior at the ground, it will be a really special day for me to lead Sussex out on that Sunday. We really stuck together down there – it was eleven of us against Somerset and a big, partisan crowd and our body language and ability to hold our nerve and stick to our plans were exceptional. I was so, so proud of that performance. The first thing Ishant Sharma said to me when we came off the pitch was, “Skipper, are we singing the team song?” and that for me showed how much this guy – a rock star back in India – has bought into our club and how together we are as a side. I did offer him the chance to sing the first line of ‘Good Old Sussex by the Sea’ on his own, but he wasn’t quite comfortable with the lyrics yet. Maybe in a couple more wins’ time! The South Group is notoriously tough, with a lot of strong sides capable of beating each other, but we’ve taken a huge amount of confidence and belief out of that win. It’s a shame we’ve had a couple of washouts since then. I was so disappointed to miss out on the Eastbourne fixture last year with a broken finger, but I was at the ground and it was incredible to see the way it looked on that day with such a big crowd. I can’t wait to experience that as a player. Out-ground cricket has an important role to play. It keeps clubs around the county involved with Sussex, gives people who can’t always make it to Hove a chance to see their team and provides inspiration for young cricketers who see professionals playing on the same pitch as them. By all accounts, last year’s match at The Saffrons had a really positive effect on participation in the club’s junior set-up. Hopefully we can help get a few more kids involved this year with a good performance when we visit.